In the wake of intensified attacks in Syria, Pope Francis called for an immediate cease-fire—even if temporary—so that civilians, especially children, could be rescued from the ruins. Emphasizing that his thoughts and prayers are with "all victims of the inhumane conflict in Syria," the pope said it was with "a sense of urgency that I renew my appeal, imploring—with all my strength—those responsible so that an immediate cease-fire be arranged." He asked the cease-fire be "implemented and respected at least for the time needed to allow for the evacuation of civilians, most of all children, who are still trapped under fierce bombings." 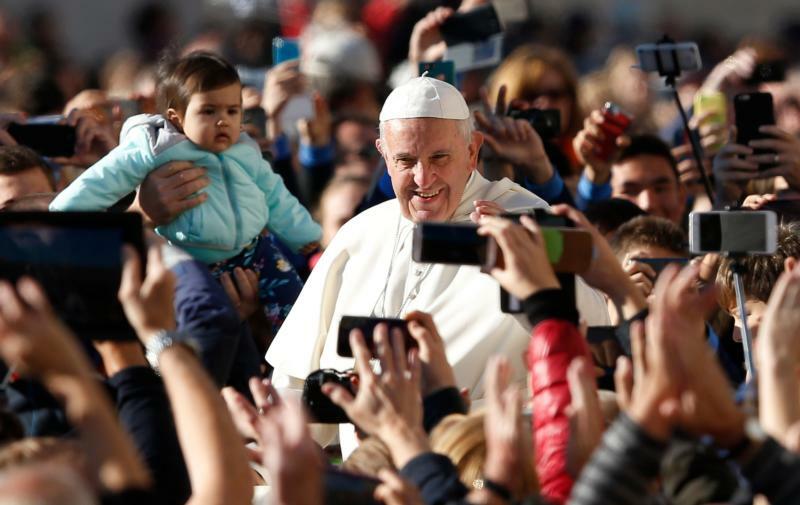 The pope made his appeal on Oct. 12 at the end of his weekly general audience in St. Peter's Square. It came after a wave of intense violence as Russian airstrikes, supported by the Syrian government, hit Aleppo and rockets launched by rebels rained on Dara in the South. At least six people were killed in the South and 25 people reportedly killed in Aleppo on Oct. 11, although the number of casualties may rise as rescuers continue to comb through the rubble. In a statement Oct. 11, Caritas Internationalis, the umbrella organization for Catholic charities around the world, said more than 275,000 people "face intensified daily bombardment in eastern Aleppo; 100,000 of the people trapped in the rebel-controlled area are children. They are facing a humanitarian catastrophe." "The indiscriminate brutality witnessed in Aleppo must end. The people of Aleppo need an immediate ceasefire," said Michel Roy, secretary general of Caritas Internationalis. The increase in violence continued to keep humanitarian efforts from reaching people in need, Krista Armstrong, a spokeswoman for the International Committee of the Red Cross in Geneva, told the Los Angeles Times Oct. 11. "The needs are rising, but we need to see a cessation of violence in order to get to these areas," Armstrong told the paper, adding that the Red Cross has not been able to reach east Aleppo since April. Since a cease-fire collapsed in September, air raids by Syrian and Russian forces have increased, besieging the people of Aleppo, said Carlos Francisco, head of mission of Doctors Without Borders, Oct. 10. "First the surrounding areas were hit, then the roads leading into the city, then hospitals, water supplies, residential neighborhoods, rescuers' equipment. We are talking about a city exhausted by five years of war, which has received no aid since July, when the siege began—a city that is being devastated, flattened, in front of our eyes," Francisco said.